Creepypasta stories are a fascinating read and it was only a matter of time before someone was going to adapt one for a T.V. series or feature film. For those who don't know, a Creepypasta are genuinely user-generated stories or images, usually in the horror realm that are copy and pasted around the internet. Intended to scare the reader and naturally cause a buzz as the story or image is featured more and more over the internet, the most famous one probably being The Slenderman created by Eric Knudsen. 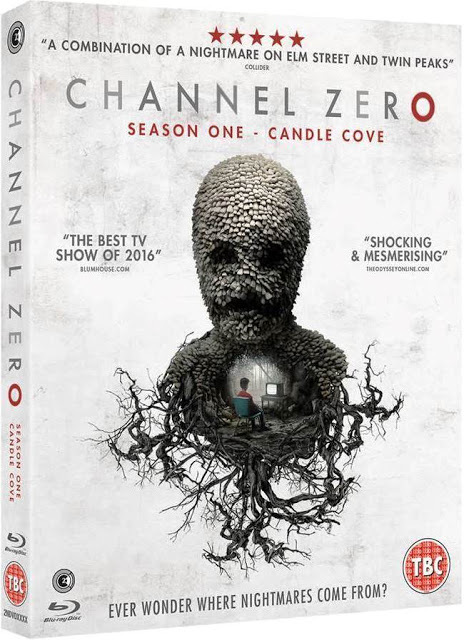 For a T.V series adaptation of a Creepypasta story, Nick Antosca (Hannibal) created the anthology series 'Channel Zero' and the first story to be adapted is Kris Straub's Candle Cove. This 6 part series follows child psychologist Mike Painter (Paul Schneider) as he returns to his hometown to find if his brothers disappearance is anyway connected to the recent bizarre incidents and more importantly to the childrens T.V. show Candle Cove that aired at the same time. As we follow Mike Painter he not only becomes the chief suspect in recent disappearances of children, but he discovers more about his own past and more importantly what Candle Cove has to do with his brother. With the help of writers such as Don Mancini (CHILDS PLAY), Harley Peyton (Twin Peaks) and many others, Nick Antosca has created a T.V. series which right from its opening episode to its terrifying final episode is full of suspense thanks to Craig William Macneill's wonderful directing. Without going into too much detail, the series explores the darkness of late 1980's childrens television alongside the trusting of those closest to your children. It is a show that is bleak throughout and has no filler episodes, it gets right down to it and won't stop to the credits roll leaving you wanting to watch more. For those who want more, they will be happy to hear that as of this review there is two more series. Series 2 is based on Brian Russell's 'The No-End House', while series 3 will be called Butchers Block and is based on Kerry Hammond's 'Search and Rescue Woods' story.